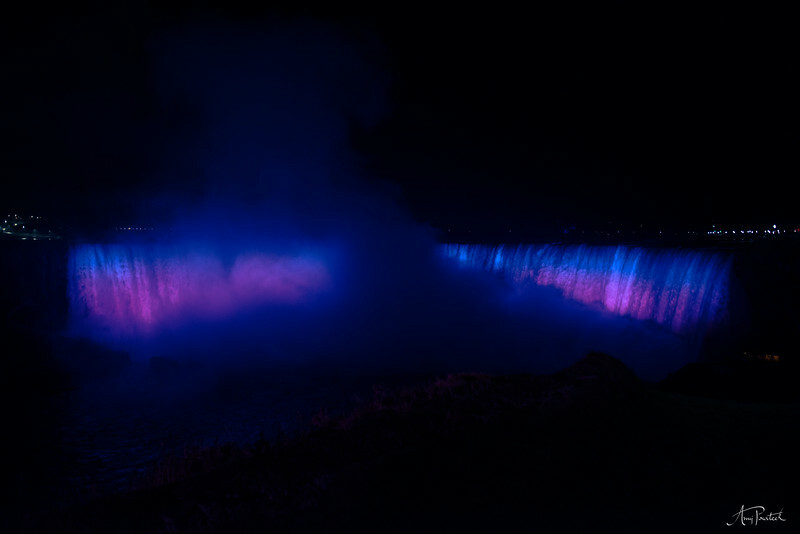 Photos from trip to Niagara Falls. We spent a day in Niagara Falls and another visiting Wye Marsh and Ripley's Aquatic Museum. It was chilling 20F on the day we went to Niagara Falls. It was cloudy with short period of sunlight. Seeing the fall in changing light was wonderful. The only bad part of the trip was that it has become difficult to appreciate other waterfalls after seeing the majestic Niagara Falls.